Categories Reprints Reprint for promotion counter "Pop-Up"
Reprint for your existing promotion counter "Pop-Up". Your artwork will be printed on opaque Pop-Up material. For displays not bought at our company, we need a technical specification sheet. 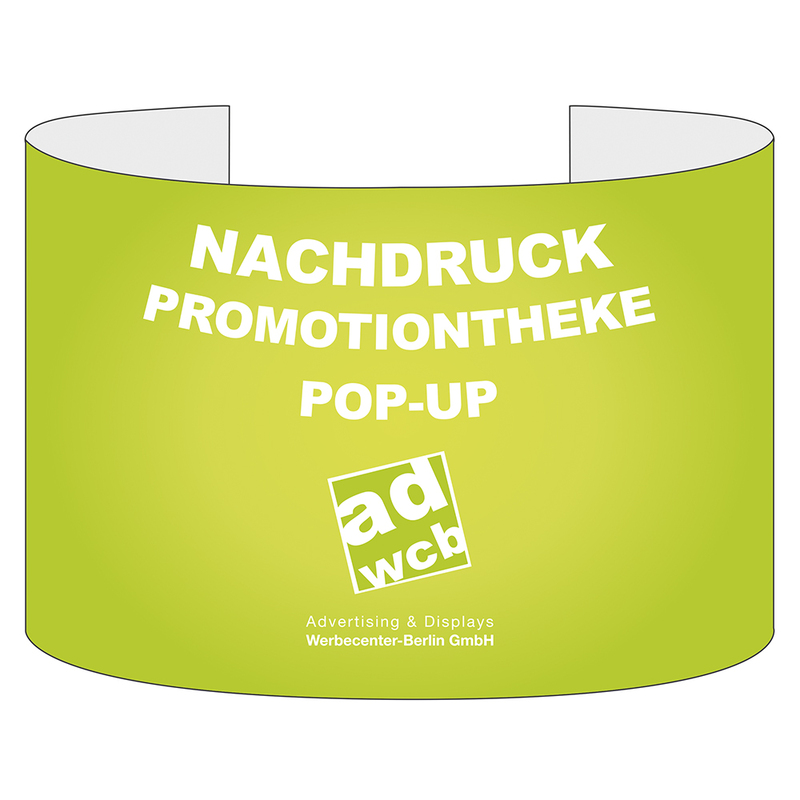 Reprint for your existing promotion counter "Pop-Up" to change or renew your motif. Your artwork will be printed on opaque Pop-Up material and manufactured ready-to-use with magnetic stripes at the backside.